These two roads both had different, straighter routings in the vicinity of the Albany International Airport not too long ago. But then the airport decided to add a runway, and Albany County got together with NYSDOT and decided to not only reroute the two roads, but make them four-laned as well. We at the Albany Road Meet caught them with their pants down - the new roads are open, but the old roads are still around. 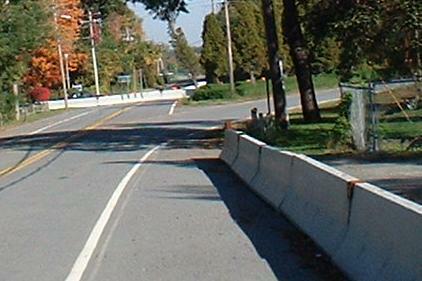 Both of the old roads are divided into several sections of open and closed road, but all open sections of Albany Shaker Road are CR 151, and all open sections of Watervliet Shaker Road are CR 157. 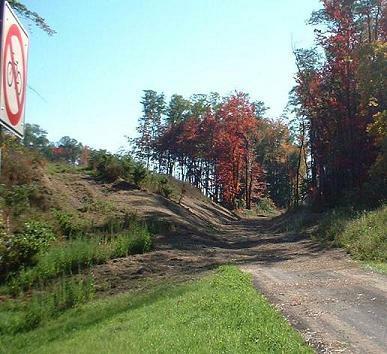 The new roads are not technically Albany or Watervliet Shaker Roads, but signage is indecisive, and NYS expert roadgeeks predict the new roads will either be the New versions, or else the old roads will be Old. 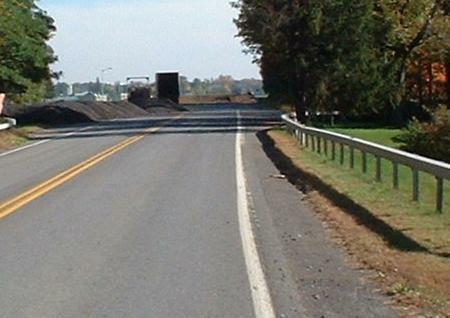 Another consequence of construction was the rerouting of NY 155. Now, the route follows the new Watervliet Shaker Rd. to the new Albany Shaker Rd., ending up multiplexed with CR 151 for a shorter distance now, but 155 also has lost the portion that had no county route multiplex. 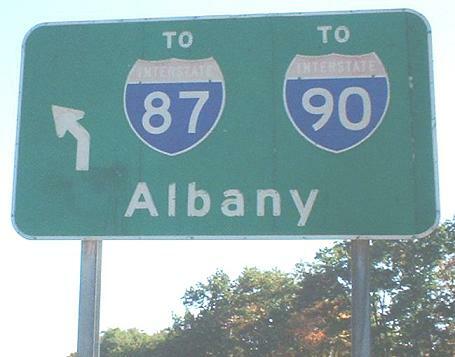 Eventually, there will be an Exit 3 off I-87 (the Northway) that will connect to an extension of the new Albany Shaker Rd., but how it will be configured is still undetermined. So, why the long names? They aren't in the town of Shaker, but this place was one of the oldest Shaker settlements in the country, so it gets honored in the street names of the two roads that also go to their respective town and city. A far view facing east, followed by closer eastern and southern views. In picture 1, note where the asphalt Watervliet Shaker Rd. flows into the all-concrete intersection (probably for heavy-truck durability). 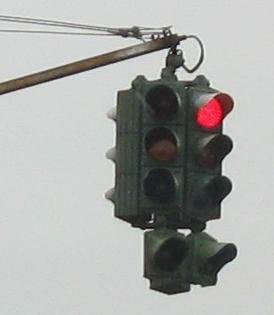 In pictures 2 and 3, note the pedestrian countdown signals - unlike other applications, these have the symbol on top and the number on the bottom, meaning they were upgraded from a two-phase signal (the familiar hand and man). MA's were updated from a one-phase signal (the square with the man on one side and hand on the other). Also, you see what look like bricks in the medians. Don't be fooled - this is textured, colored asphalt - cheaper and more durable. On Albany Shaker Rd. SB, courtesy Matt Kleiman. See, now that the whole thing's open, if you turn right onto Watervliet Shaker Rd. 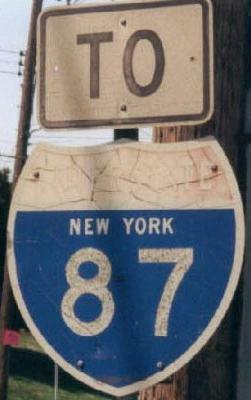 you're actually on NY 155 WB, not just going to it, so the TO plate should be removed. Oh, and CR 157 also goes to the right, multiplexing with NY 155. The new bike path going into the green space by the airport. The No Bikes sign refers to a sidewalk leading down to the interchange. Interesting how much work goes into creating a simple path. Traveling EB, you see the first shield - what's CR 55? It's been recycled into the garish creation on the right facing WB. Hey Albany County - clean your signs before you reuse them! And use the right font! And center the number!! 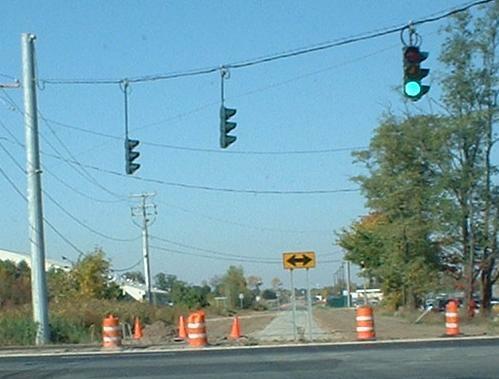 Oh, and there are two more CR 55 = CR 151 flubs, one each way at the NY 155/I-87 interchange. Two views of the old Watervliet Shaker Rd. facing EB toward what once went through. 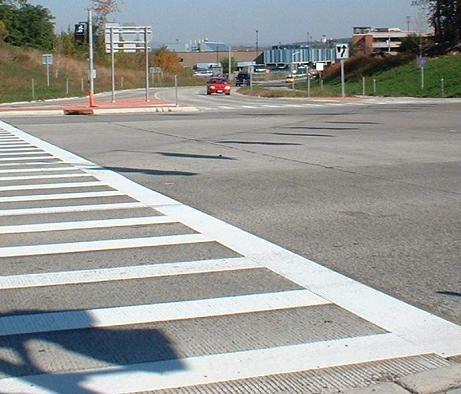 Striping does a reasonable job of turning you onto the old Albany Shaker Rd. NB, but Albany County should have removed more of the old stripes. In the second photo, you see that there is another section of road open past the closed section - this gets people to the Shaker Museum. There is another closed section about a half-mile back of here, as well, leading back to where the new alignment merges back. Now what is that ramp to the right in the second photo? It's old NY 155! See, before now, NY 155 only touched Albany Shaker Rd. at the T intersection I'm describing, and kept going to the right and back to where the new alignment merges in. Those pictures are just below, but let's finish up here first. 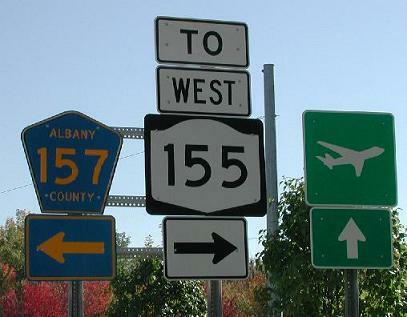 The signs used to mean something to WB 155 traffic, and the signal used to regulate traffic. 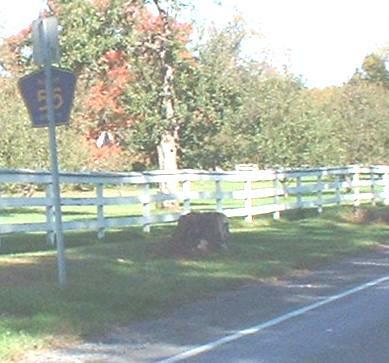 For some reason, Albany County has not removed the old signs (probably the same reason you still see CR 55 on the back of everything), nor the old, non-functional signal. Walking EB down the remnant of old NY 155. 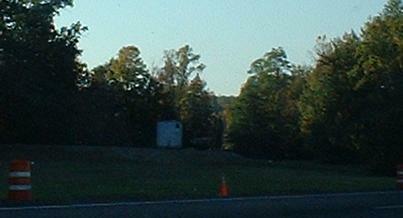 Picture 2 shows the old striping in the middle (you used to be able to make a left down what is now New Albany Shaker Rd. but what is still called by signage as Delassandro Blvd. ), as well as construction striping when 155 WB was already off the old routing. Picture 3 just shows how the old alignment flowed right in. The first sign is on 155 EB right next to old 155. It used to mean something, because you had the option of turning right. Now, it's completely redundant. 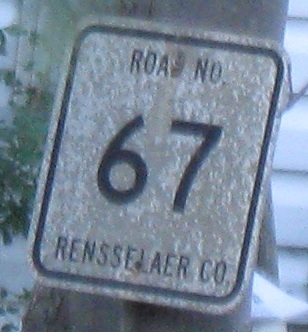 The second sign is on an airport road as it intersects with Delassandro Blvd/new Albany Shaker Rd. 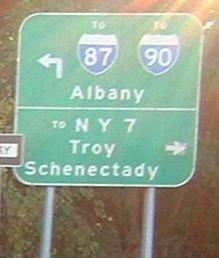 They are two of the few detachable-letter signs left in NY, and the second one still uses the button-copy method of spelling out route names instead of using shields. 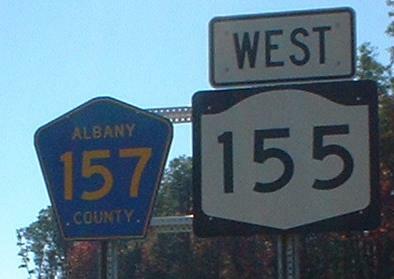 On NY 155 WB/Albany Shaker Rd. 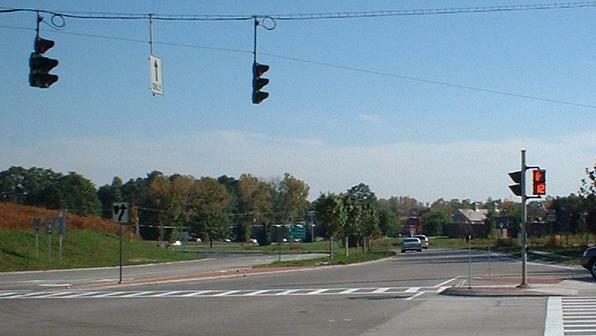 NB, you can see the old alignment of NY 155 as it went straight before turning onto Watervliet Shaker Rd. Just an opposite perspective from the first three Old 155 pics. In someone's yard along NY 155 in Latham. Old signal that would be even cooler if it worked at 4th Ave. in Watervliet.